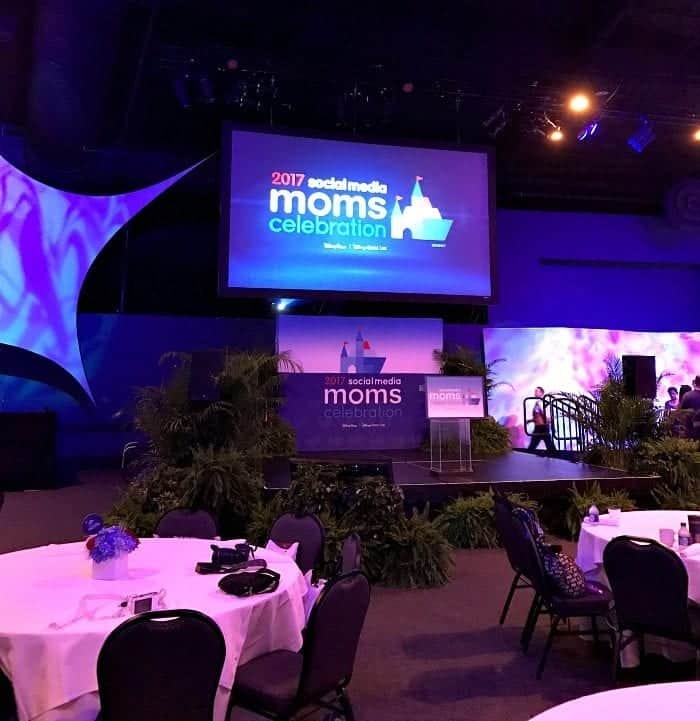 Thrilled to share my experience at the Disney Social Media Moms Celebration 2017 with you today! 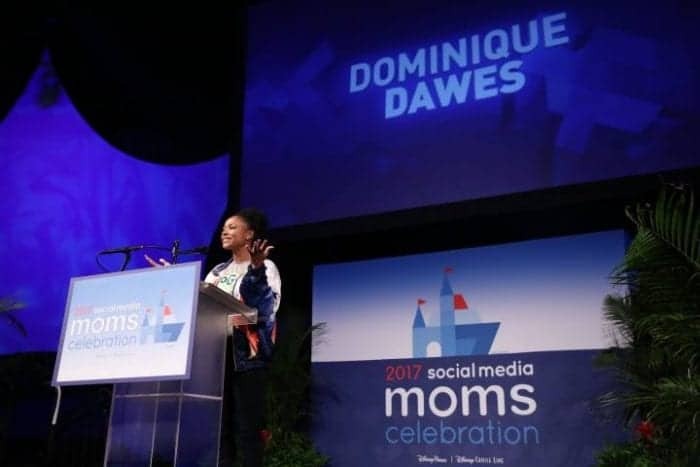 The Disney Social Media Moms Celebration has been one of my favorite events since I attended my first in 2015. 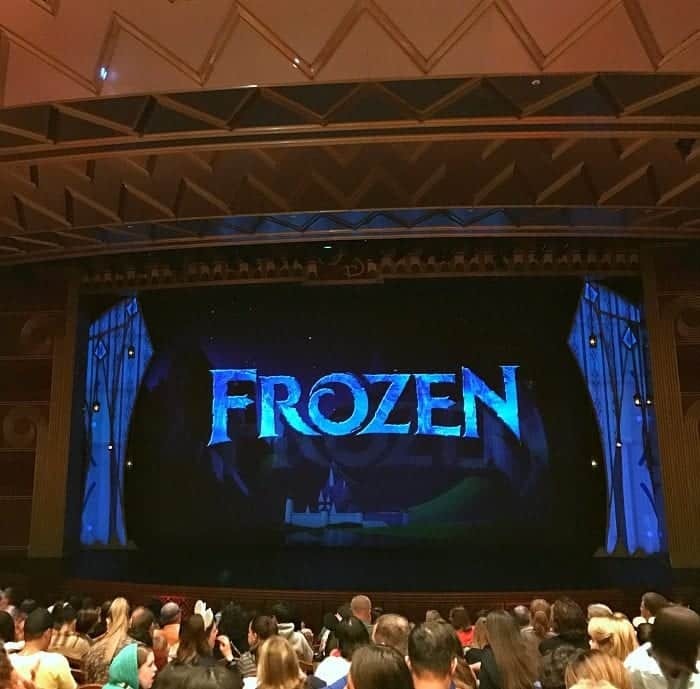 It’s no secret I’m a huge Disney fan, so being able to experience the fun with my family and friends is such a treat. 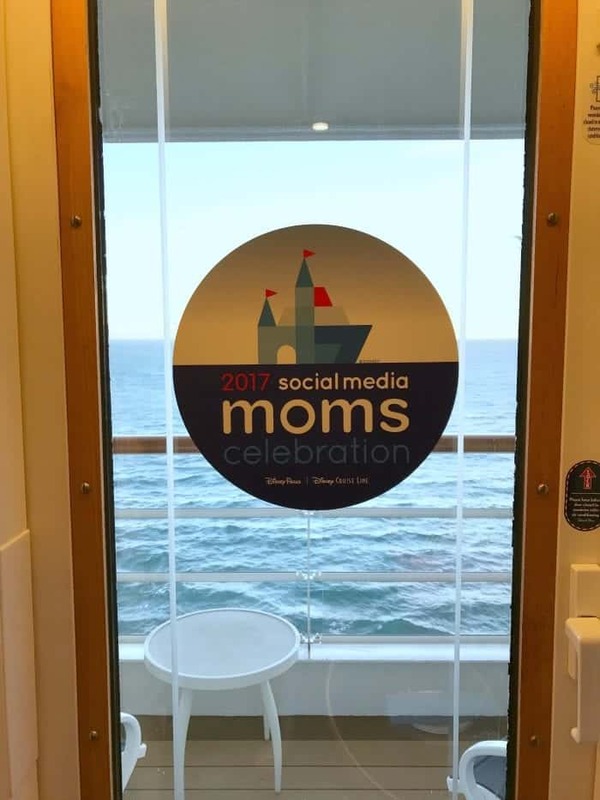 If you haven’t heard much about this celebration, take a look at #DisneySMMC on social media. 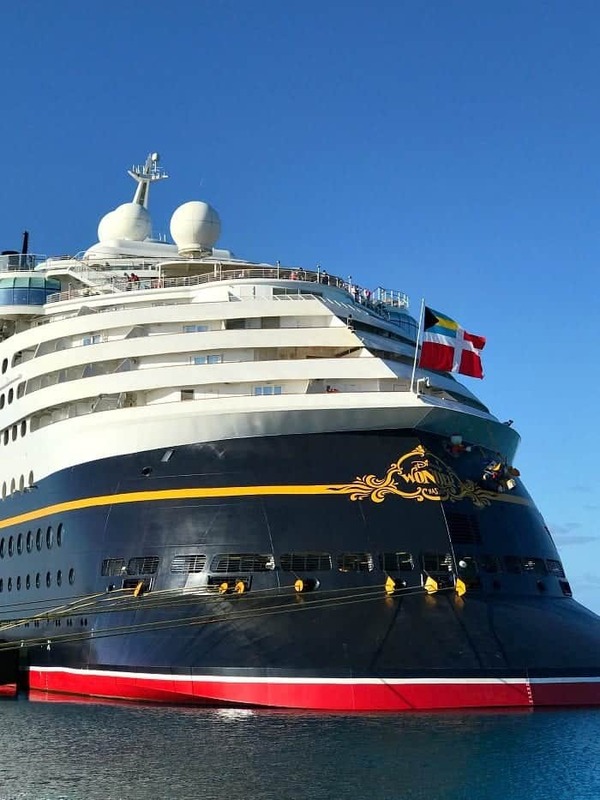 You’ll see pictures from our time at Walt Disney World and The Disney Wonder Cruise Ship. Made a little video of our trip, hope you enjoy! 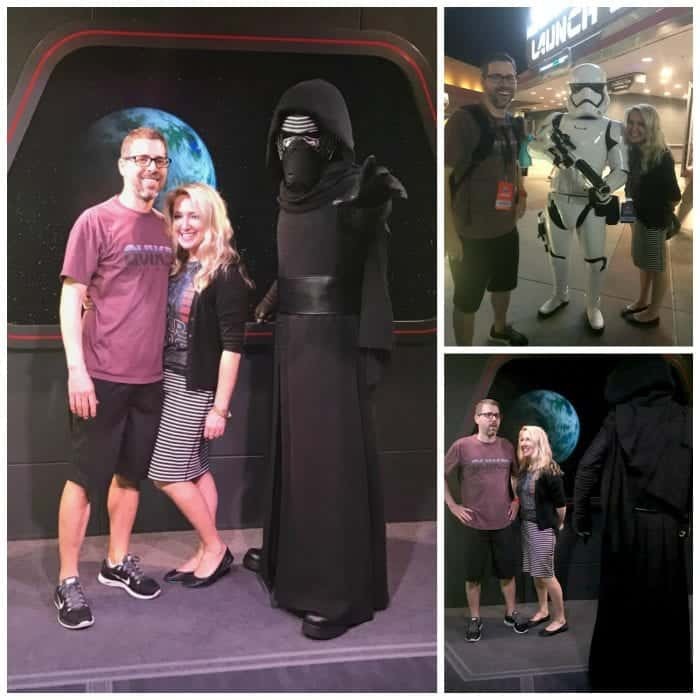 This year my husband and I went together. We celebrated our early anniversary. We had family helping with the boys and we were ready for a great trip! 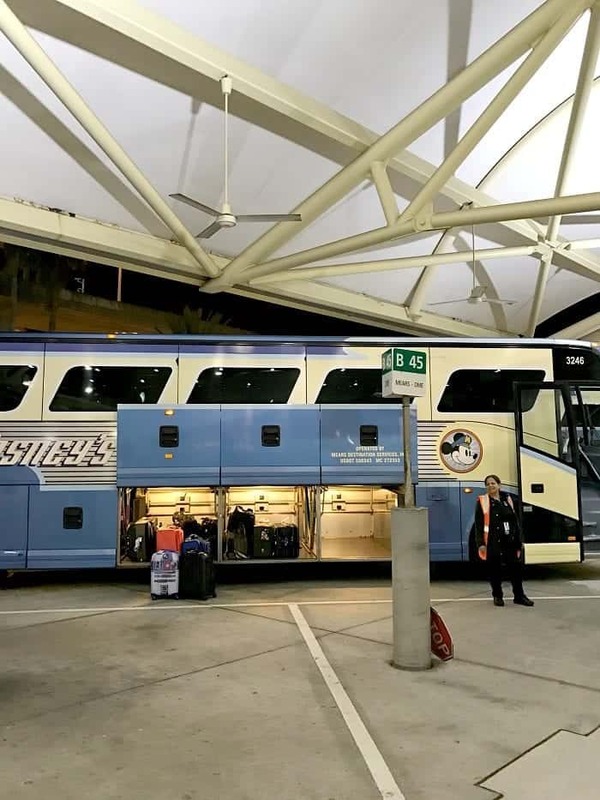 After we landed in Orlando, we made our way to the Magical Express. 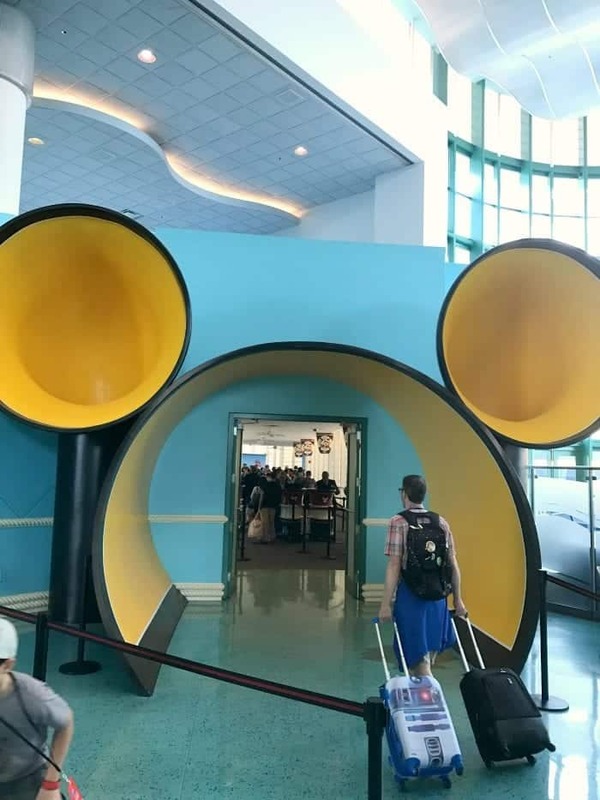 Disney has got this down to a science. So nice to pop on over after your flight. We spend the first portion of the trip at Disney’s Port Orleans Resort-Riverside. The grounds were absolutely beautiful. Stay tuned for a full review of the hotel on my Disney page coming soon. 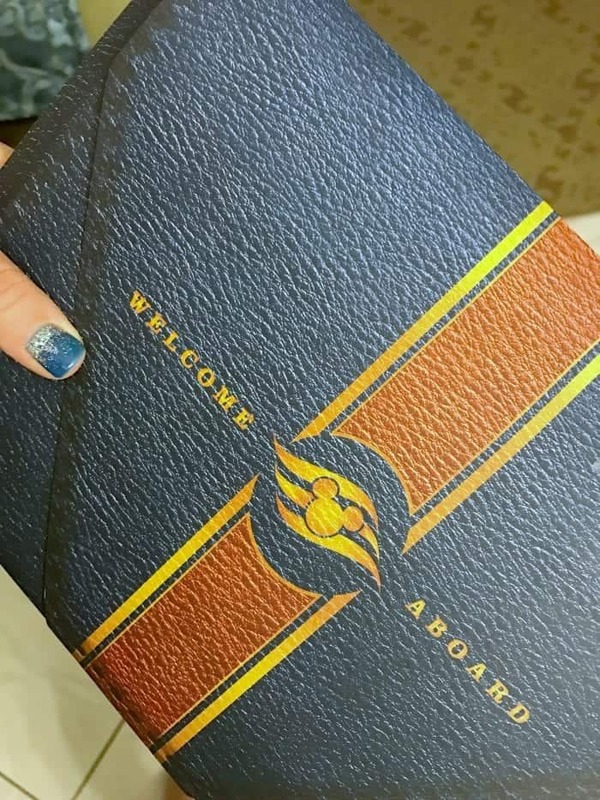 We got our welcome bag and it was time to experience the fun! 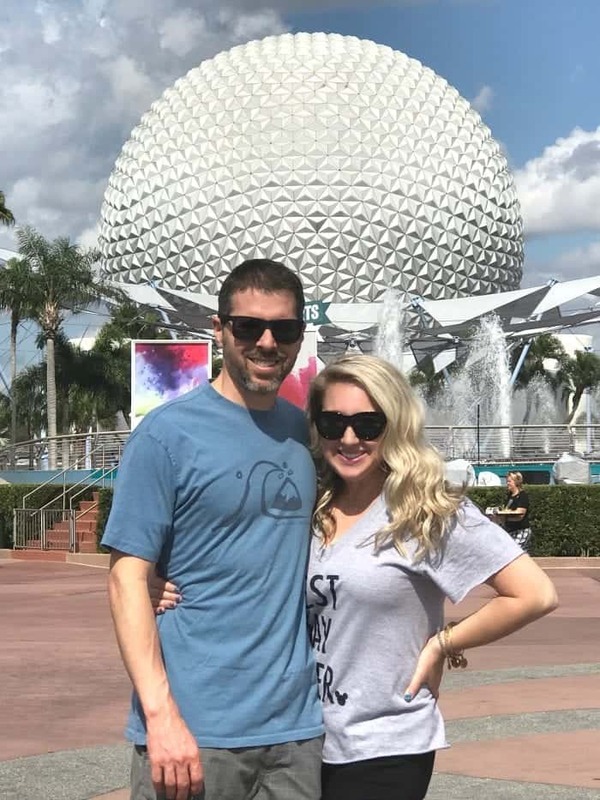 We decided to arrive one day early so we could explore a couple Disney Parks before the events started. First up was Epcot. One of my favorites! 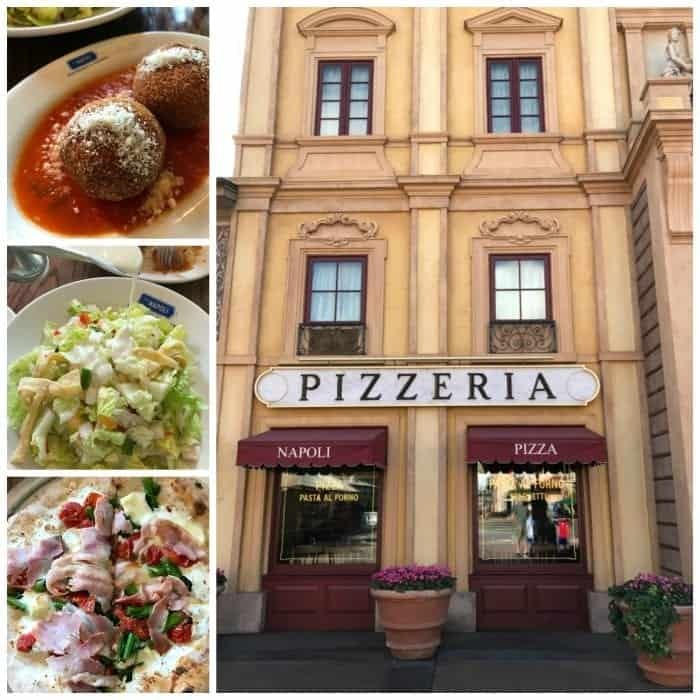 We made our way to Via Napoli for lunch, in Epcot’s Italy of the World Showcase. 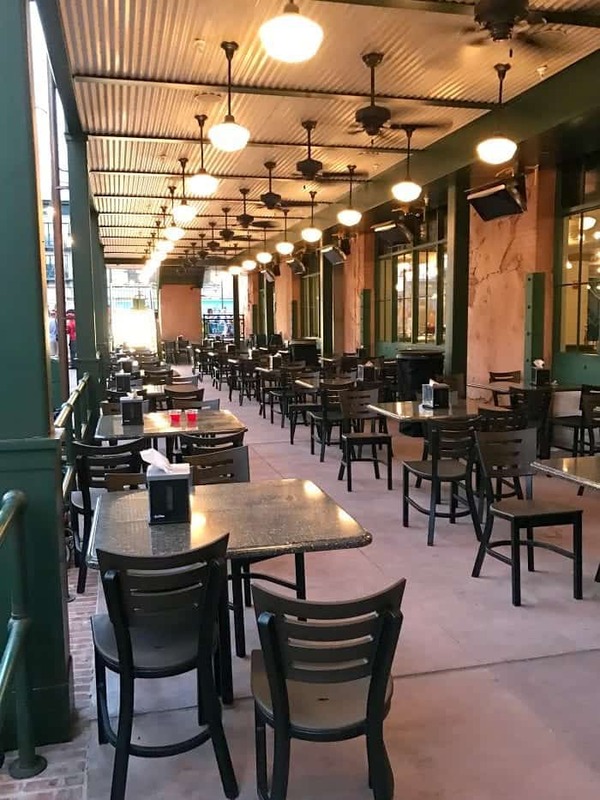 I always try to get reservations here, some of my favorite pizza and appetizers anywhere! 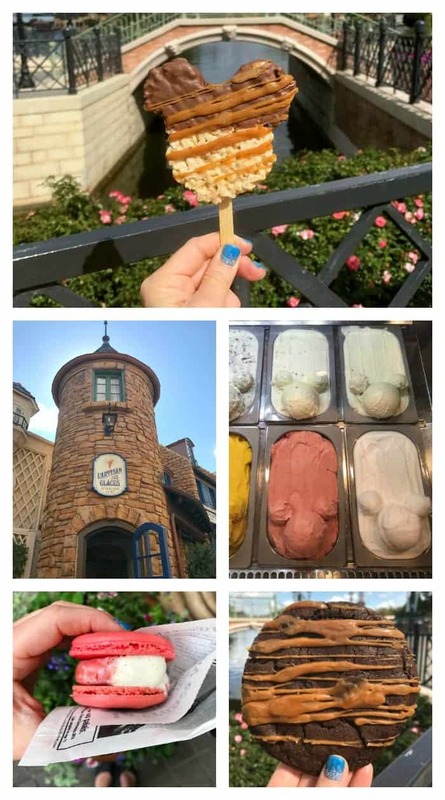 It wouldn’t be a trip to Epcot without some of our favorite treats from Germany and France! After lunch, we made our way over to Magic Kingdom Park. 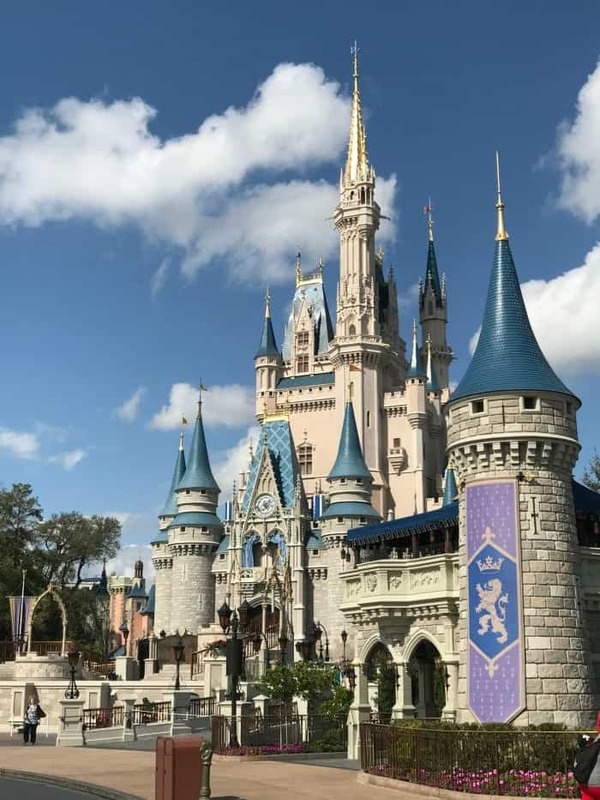 There’s nothing like walking down Main Street U.S.A and seeing the Cinderella Castle ahead. I love it here!! More goodies throughout the day. Just too fun! 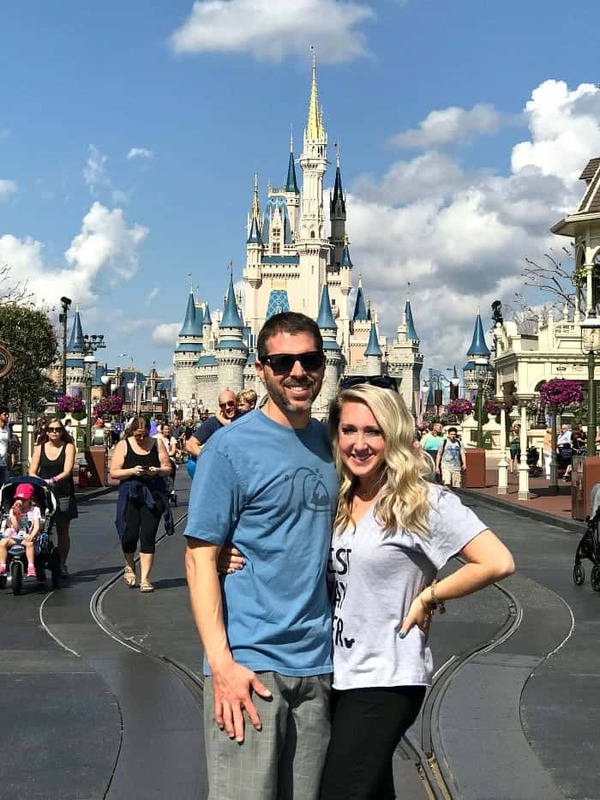 Picture in front of the Castle, check! 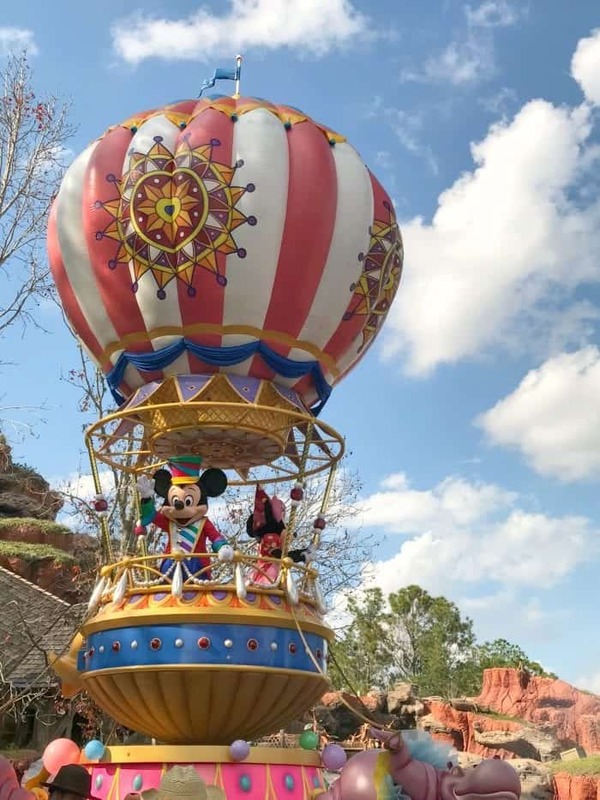 We caught the Disney Festival of Fantasy Parade while we were heading to Splash Mountain. It was adorable! 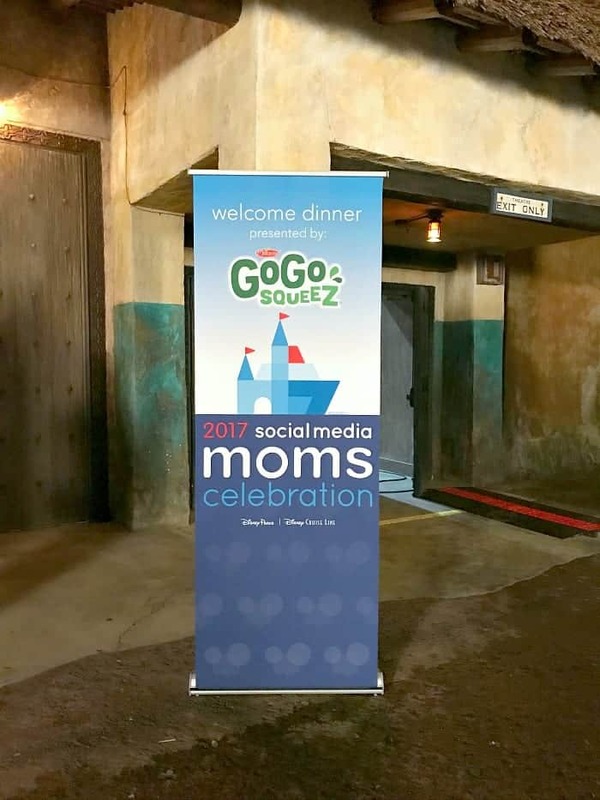 Later that evening we had our first event dinner at Disney’s Animal Kingdom sponsored by GoGo Squeeze. Lots of food, lots of fun seeing everyone with their families. 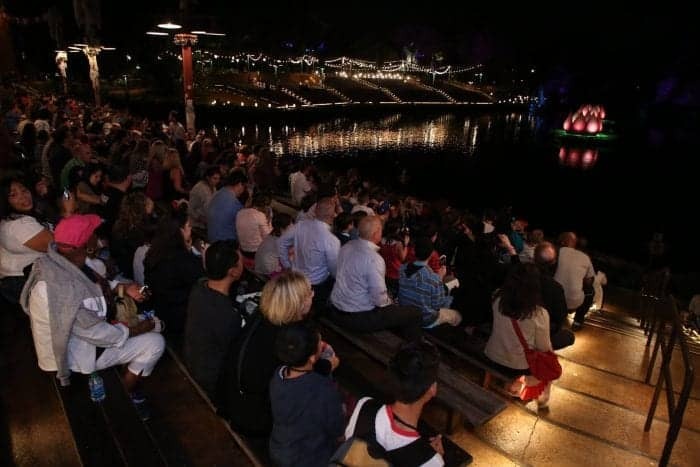 What a treat to be able to preview the Rivers of Light Nighttime Show after dinner. I’m telling you, it was stunning. 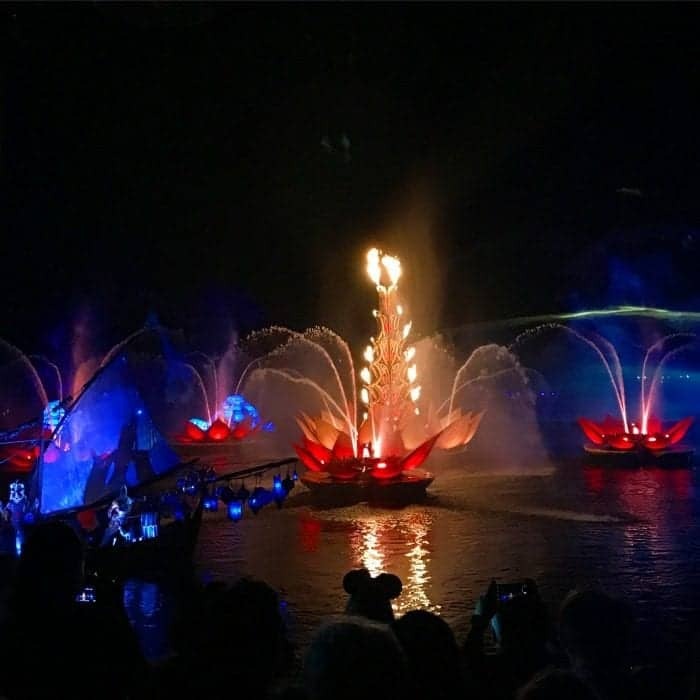 A must see when visiting Disney’s Animal Kingdom. The next morning we had a lovely breakfast at Epcot. We heard from our amazing sponsors and even got to hear from 1996 Olympic Gold Medalist Dominique Dawes! 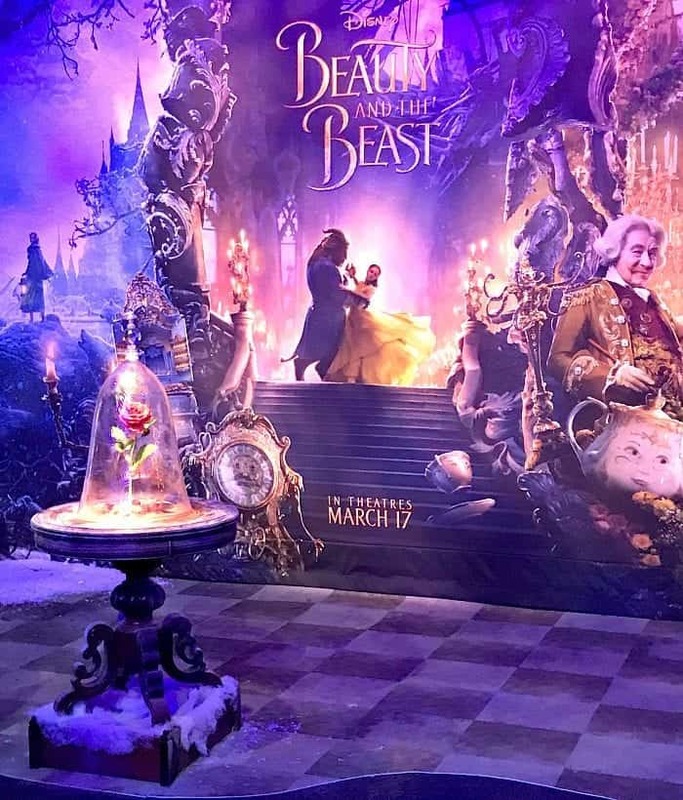 We got to meet and mingle with our sponsors after breakfast and got a peek at this gorgeous Beauty and the Beast display. After breakfast we had a Disney Springs Social Media Challenge. I found all kinds of fun things to bring home. 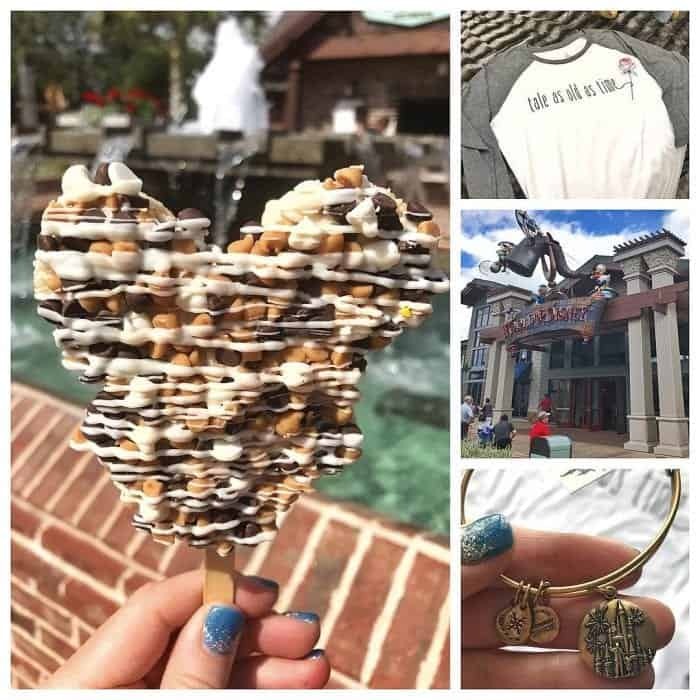 Disney Springs is such a great place for shopping and amazing restaurants. Later that evening Cullen and I made our way over to Hollywood Studios before our event dinner to explore the park and ride some of our favorite rides. 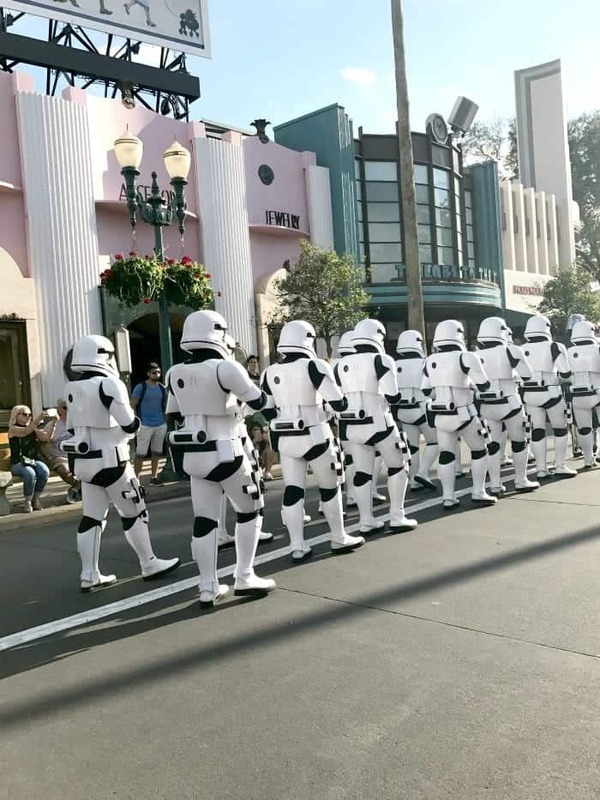 These Storm Troopers are the coolest marching down the street! 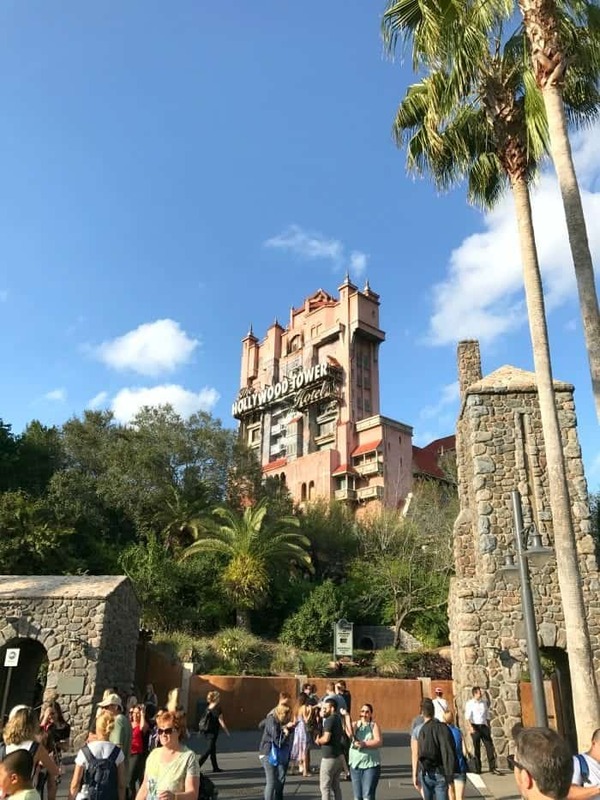 We miss The Hollywood Tower of Terror at Disney California Adventure so it was such a treat to ride it. My favorite Butterfinger Cupcake, couldn’t pass this one up! 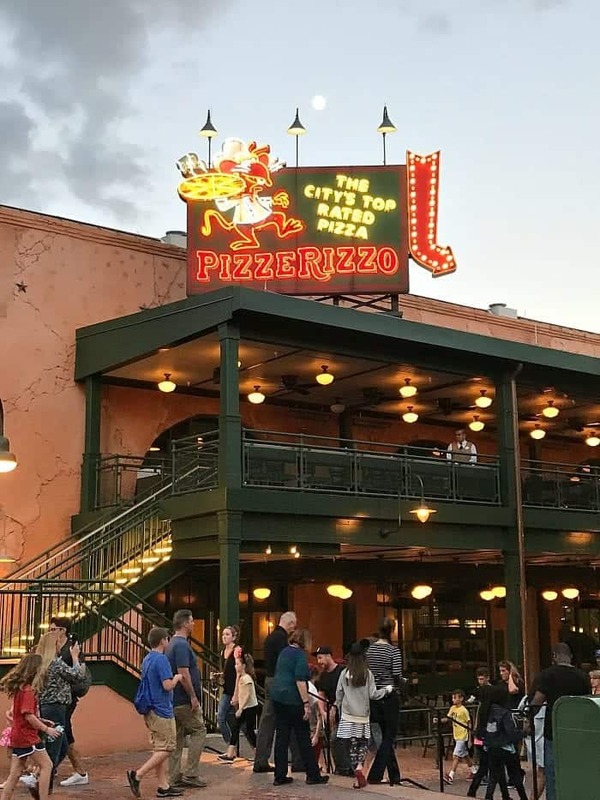 For dinner, we met up with our event at the new Pizzerizzo Restaurant. 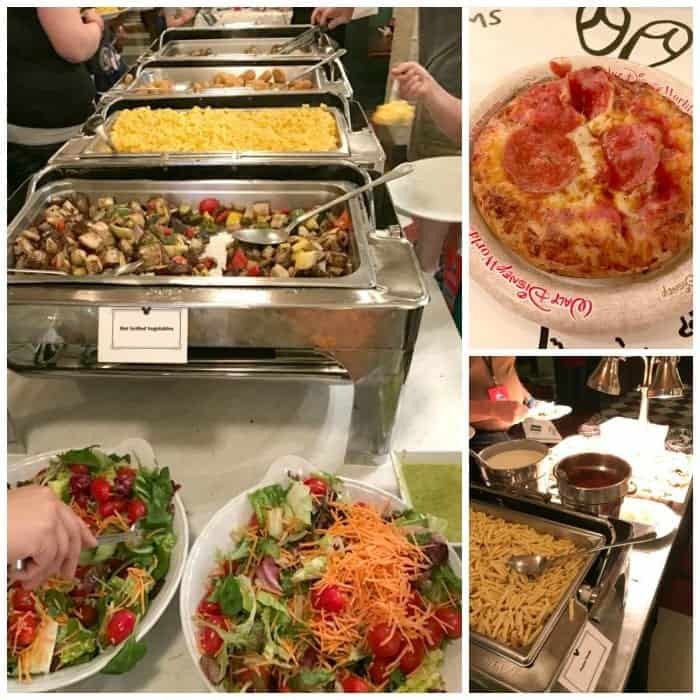 We had pizza, pasta and salad. Fun night! After dinner we had reserved seating for Star Wars: A Glactic Spectacular. 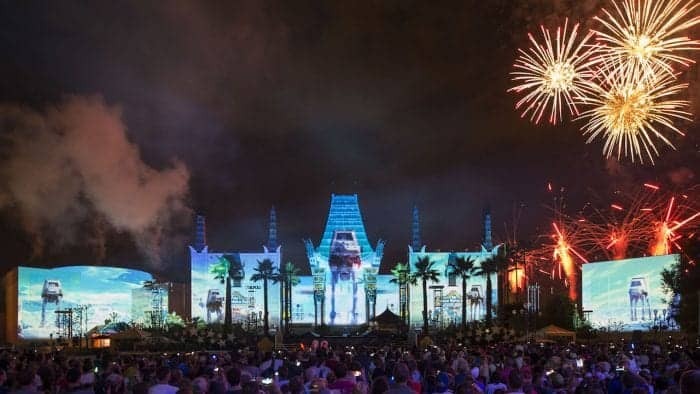 This is one of my favorite nighttime shows. We loved it! After the fireworks show we had a dessert party with the cutest Star Wars themed cupcakes and cookies. 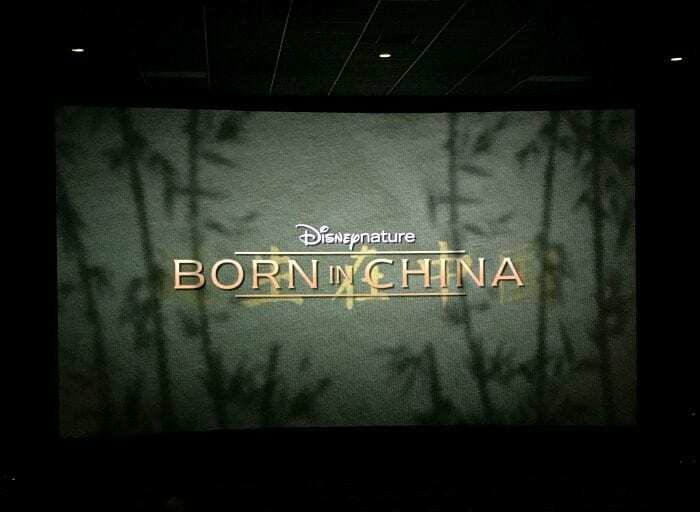 The next morning we got all packed up then made our way to Disney Springs for an advanced screening of Disneynature’s Born In China plus a Q&A with the producer Roy Conli. Oh my goodness it was the cutest. Can’t wait to see it again with the boys. 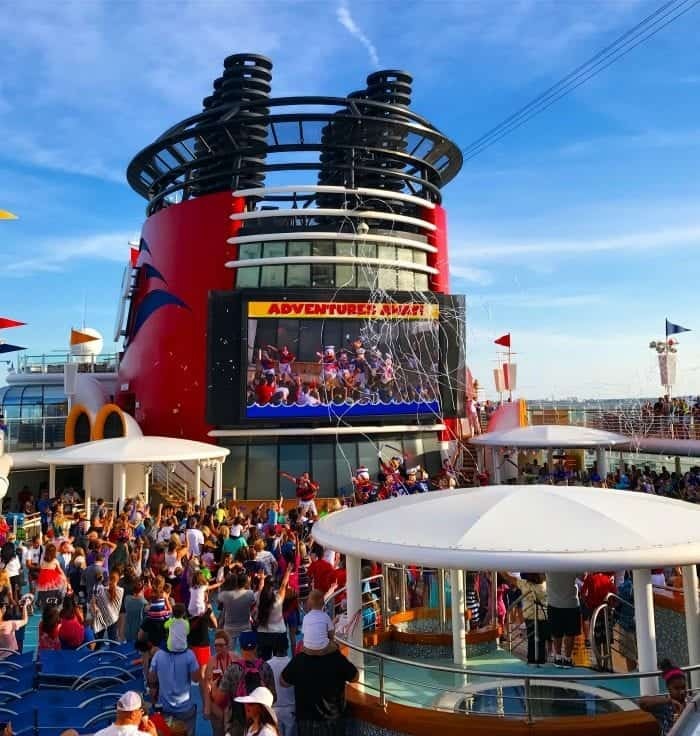 After the movie we were on our way to Port Canaveral to board the Disney Wonder!! 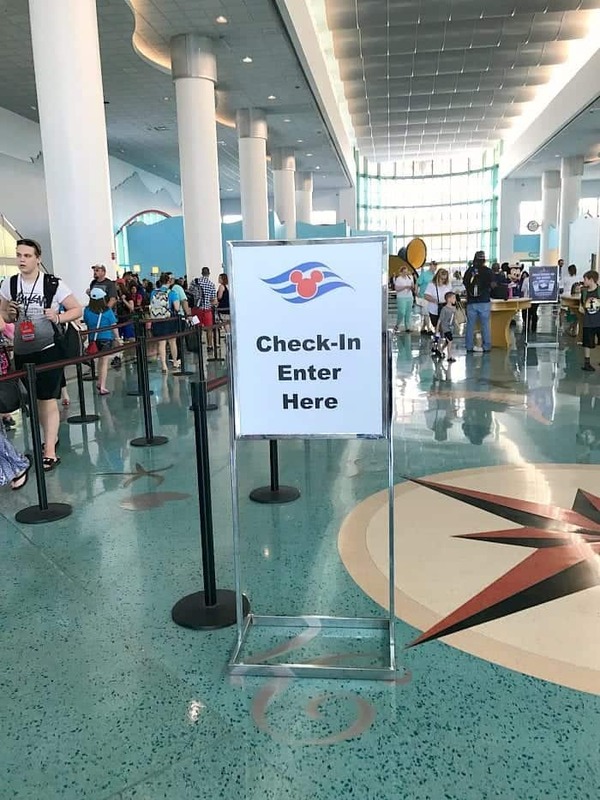 Time to check in! I’ll never forget the excitement I felt in that line anticipating the fun ahead. Off we go. 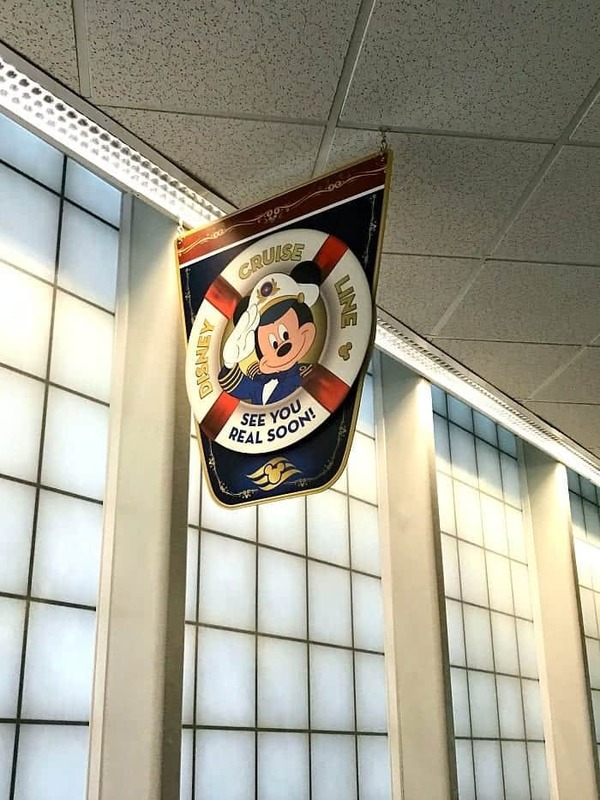 We were so excited for our first ever cruise let alone a Disney Cruise. 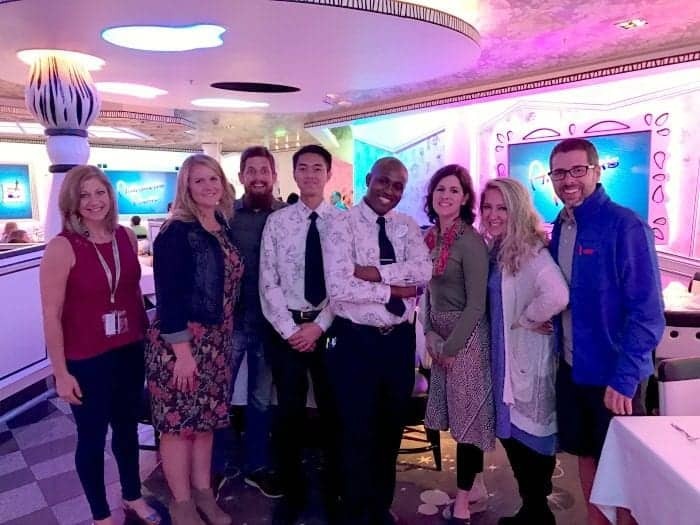 I’ll never forget walking into the Disney Wonder, the cast members welcome each family over a microphone for everyone to hear. “Welcome the FLAKE FAMILY!” It was awesome. 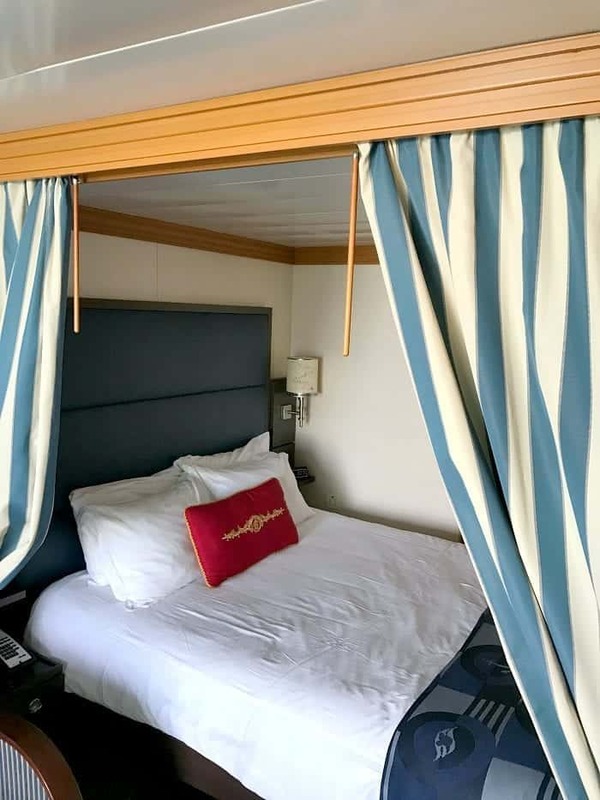 Our adorable Stateroom. 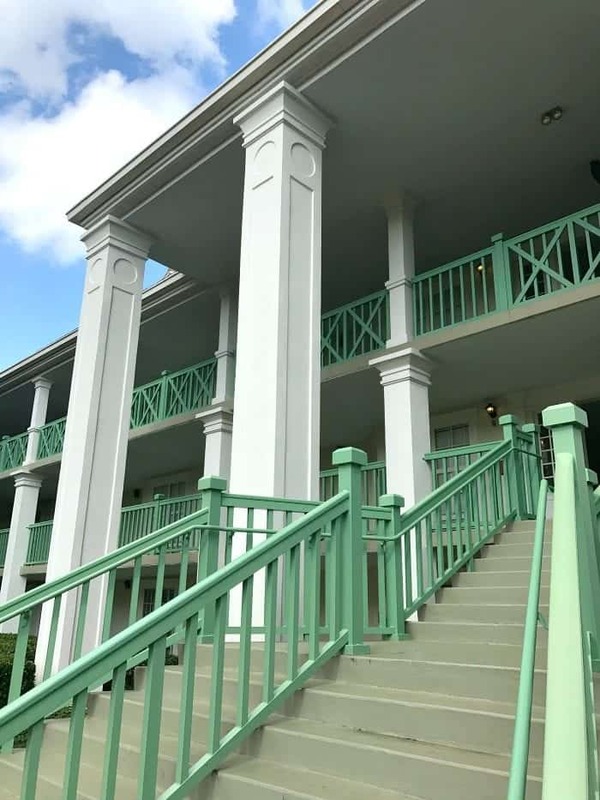 See the full review of our room on my Disney page. Having a little patio to sit outside with this view was the BEST. 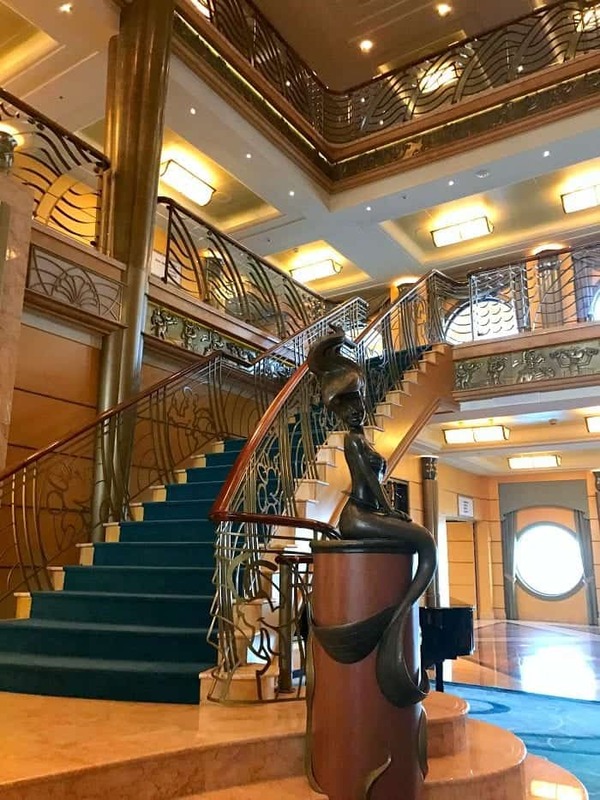 Right after we checked in, we had our first lunch on the ship. 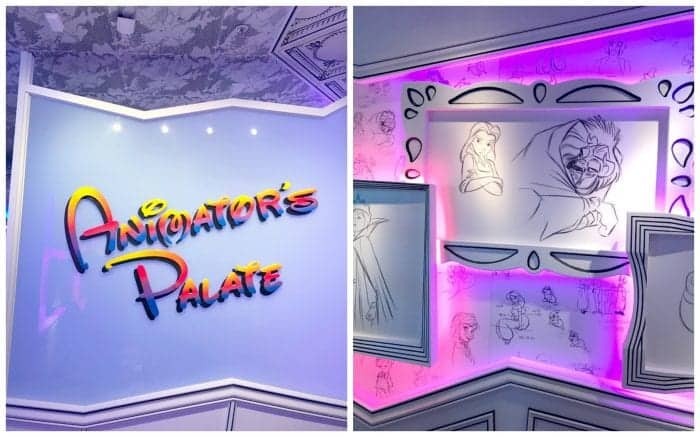 Animator’s Palate was the cutest restaurant I’ve ever seen. We were asked to draw a picture of ourselves and by the end of our lunch, our pictures came to life on the picture frames around the restaurant. Adorable! I met up with Cullen and we went to the deck party to celebrate setting sail! It was so much fun. 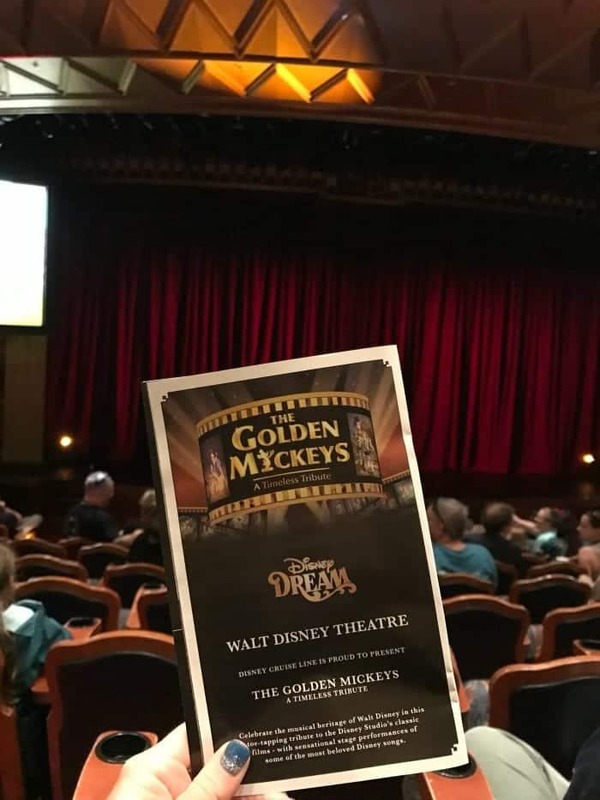 Later that evening we saw our first live show called The Golden Mickeys. I loved it. So much fun. Depending on your dinner schedule, you either go to the early or later showtime. 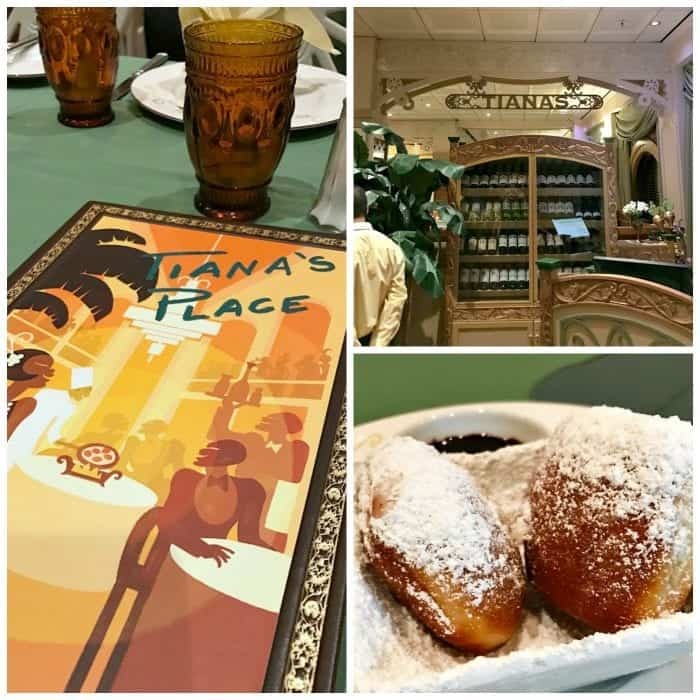 Our first dinner rotation was at Tiana’s Place. An absolute blast!! 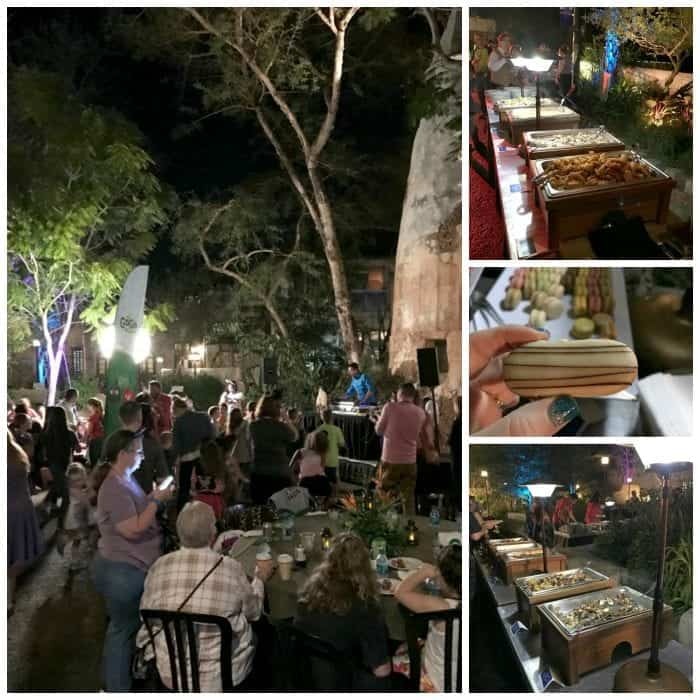 Live music, amazing food and great staff. 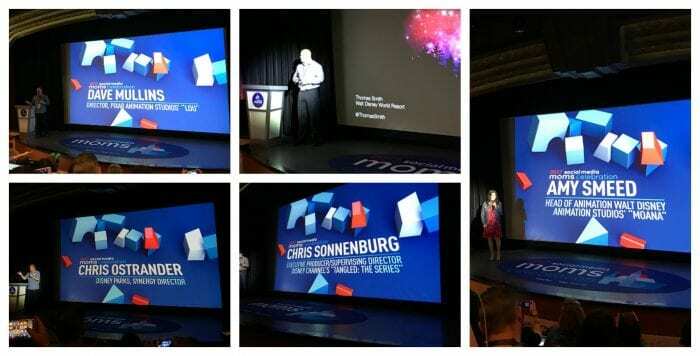 The next day was our Conference sessions. We heard from amazing Disney speakers. Loved each and every one of them. I’m certain each one them had the whole room in tears with their heartfelt stories and videos. 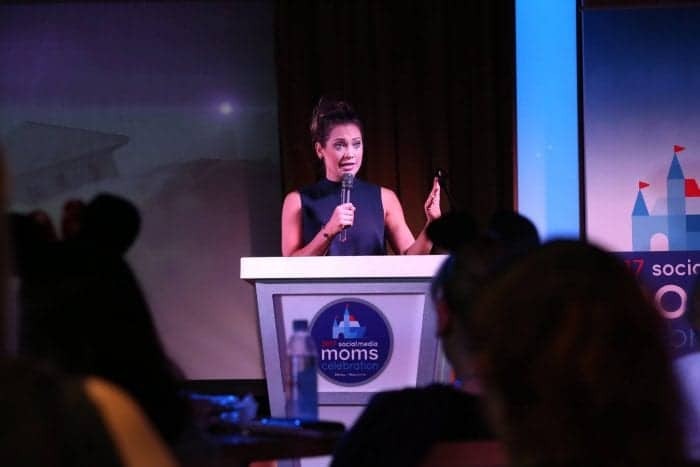 In our afternoon session, we heard from Alex Ruiz, Disney Parks, Digital Marketing Director and Ginger Zee, Meteorologist of Good Morning America. She was amazing, down to earth and I loved how relatable she was. 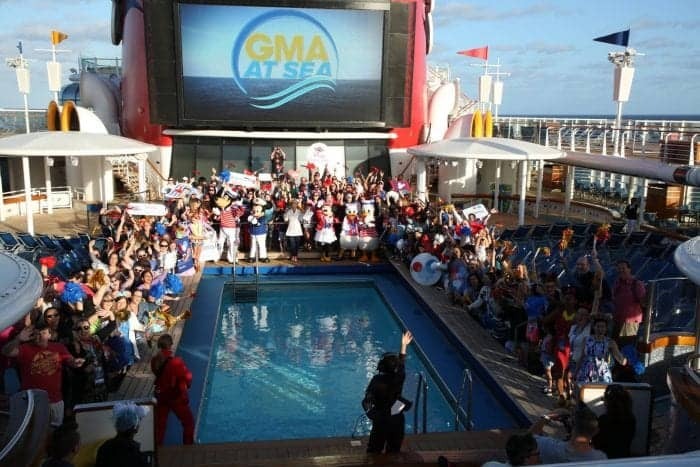 Our group was even featured on Good Morning America with Ginger Zee! 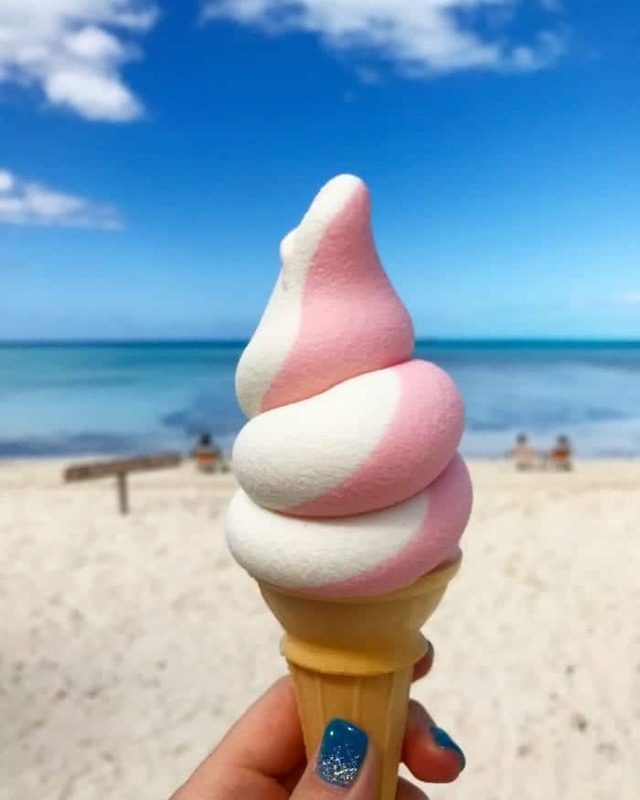 Met back up with Cullen that afternoon and ice cream seemed to happen numerous times a day, lol! It was time for our next show! 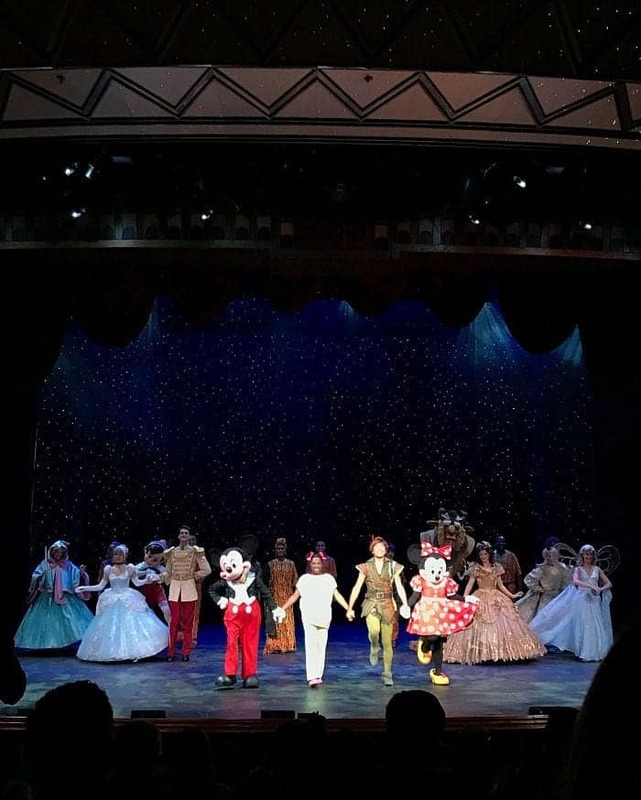 Tonight’s show was Disney Dreams. Adorable. 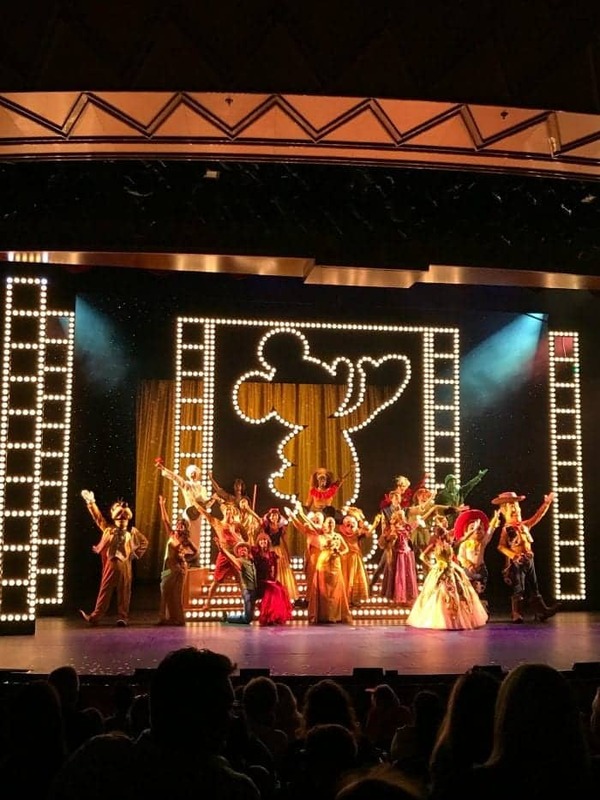 I was so impressed with how great the Broadway-like shows were. 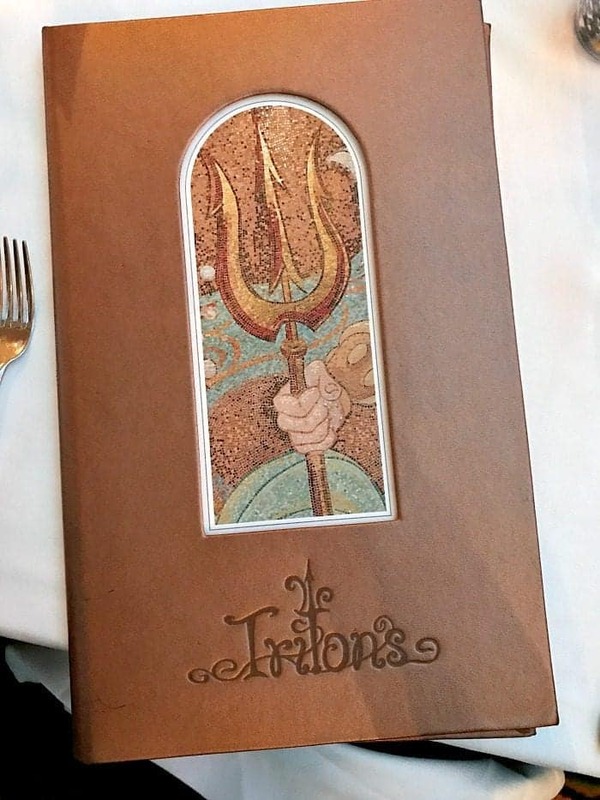 Our next dinner rotation was at Tritons. Another great experience with amazing food. 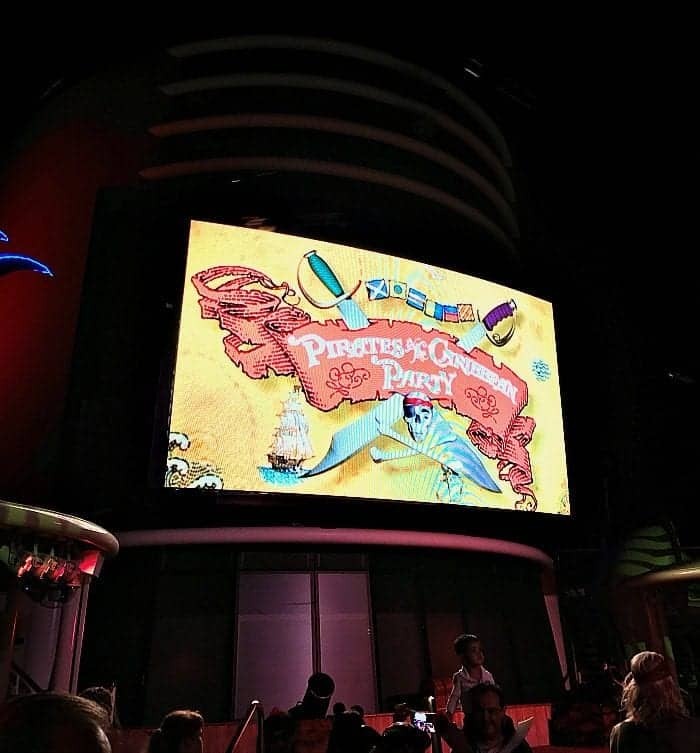 Later that evening we had the Pirates of the Caribbean Party! 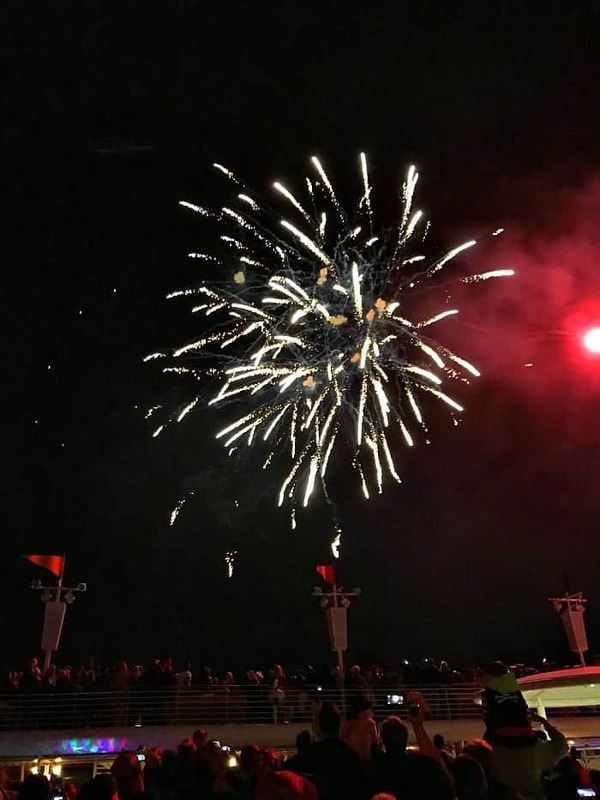 The guests are invited to dress up in their best Pirate costumes and join the fun on the deck. We loved it. Look who joined the party! Adorable. 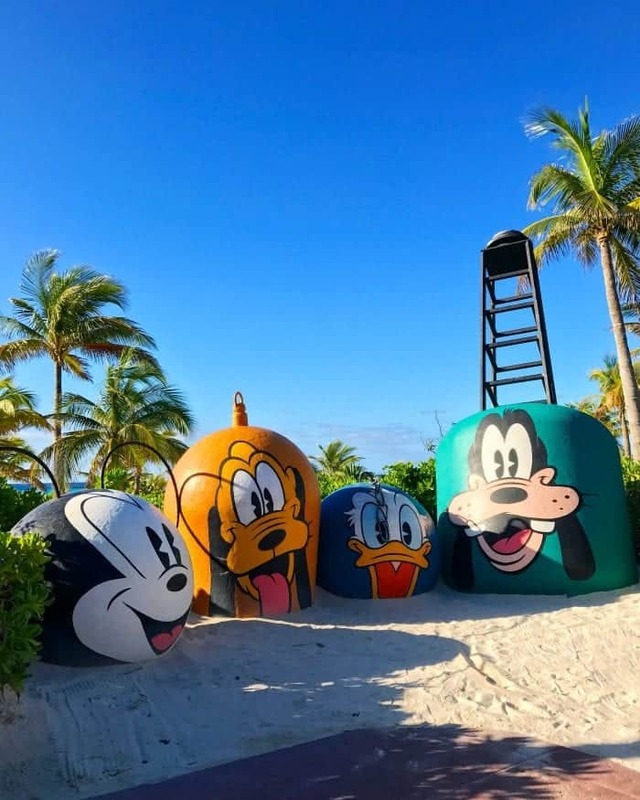 One of my favorite experiences was arriving to Disney’s Private Island Castaway Cay. 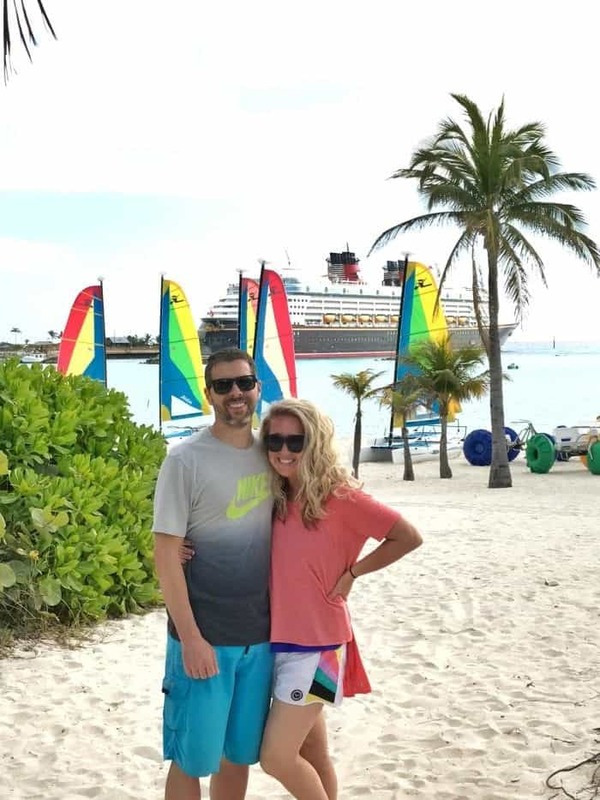 Stay tuned for a full review of Castaway Cay on my Disney page coming soon. The water was crystal blue and sand was soft and white. This was such a great day. How cute are these Disney cuties that lined the walkway? We spent the day at the adult beach, had a great BBQ lunch, rented some bikes and had a perfect relaxing day. It was phenomenal. 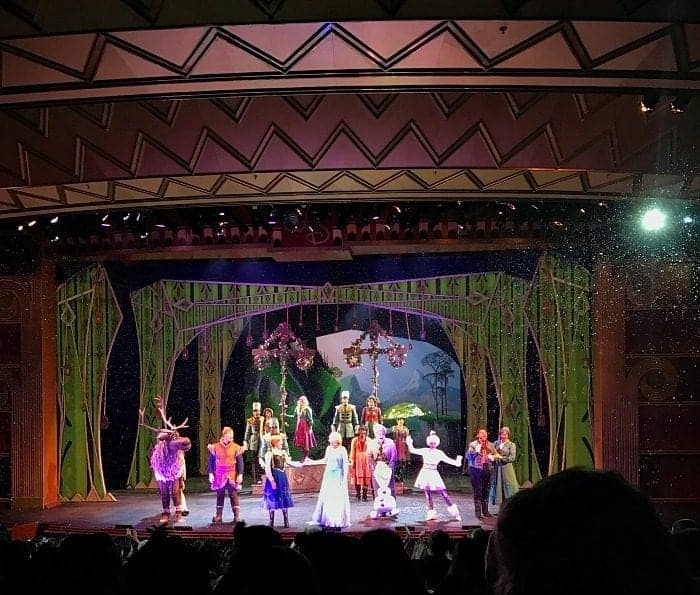 Felt like I was watching a real Broadway show. Everyone was fantastic! 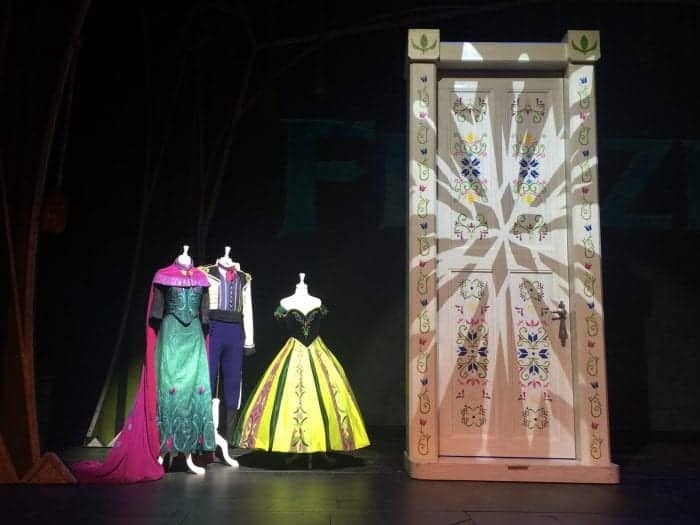 The conference guests and family could also see the costumes and “Frozen” Door up close and personal. How cool! Our last diner rotation was at Animator’s Palate. My favorite restaurant of the three. I love the whimsical interactive frames on the wall that change throughout your dining experience. We had the best servers, Anthony and James. 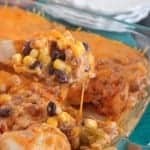 It’s so great having the same servers at every dinner. Loved getting to know everyone at our table. 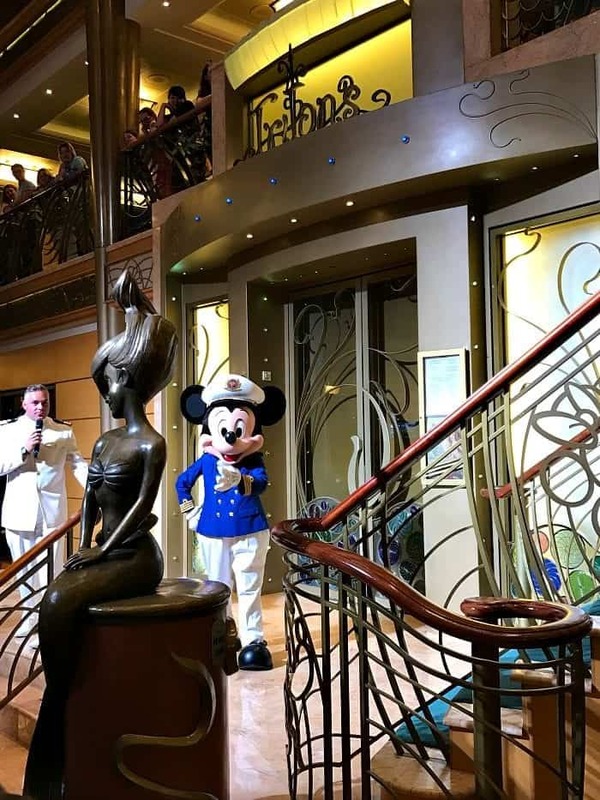 The last night of the cruise they had a “Goodbye Party” with the Disney Characters. 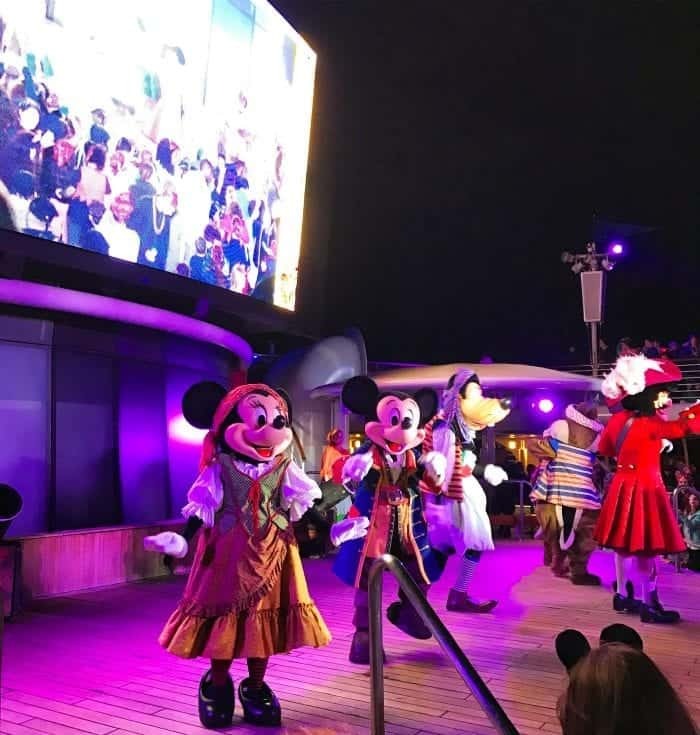 Mickey is too cute in his sailing suit. …and just like that our time had come to an end. So many incredible memories made. I’ll never forget this experience. Can’t wait to take my boys in the near future! 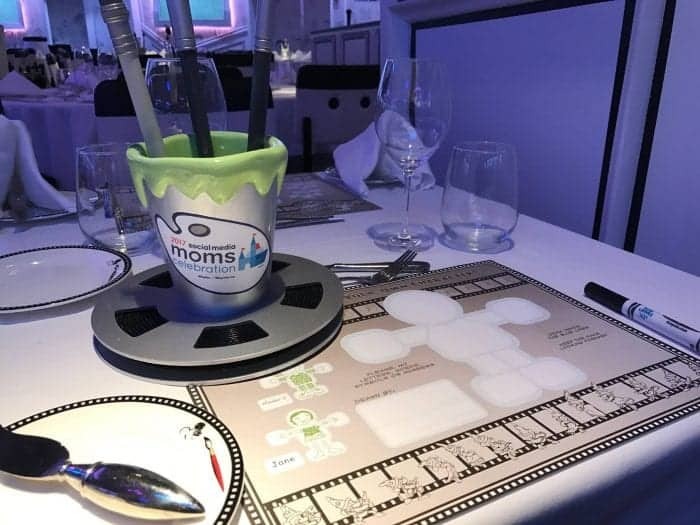 Huge thanks to the Disney Moms Team who made this all possible. I know there were countless hours put in to making every detail so special. I’m sincerely grateful to be a part of the fun. 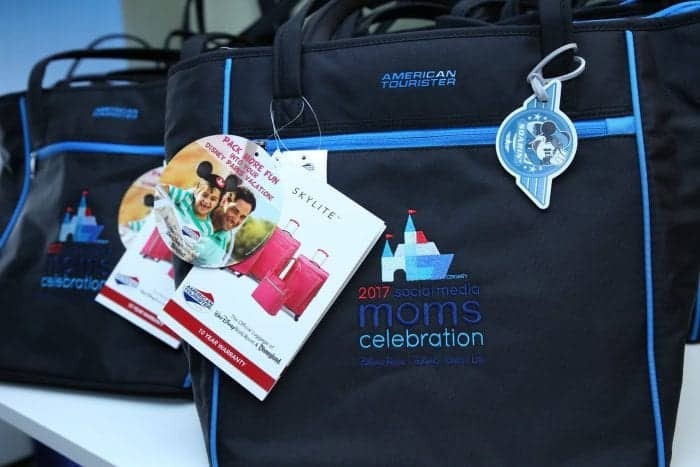 Disclosure: This post is in partnership with Disney Social Media Moms Celebration however thoughts and opinions are my own. 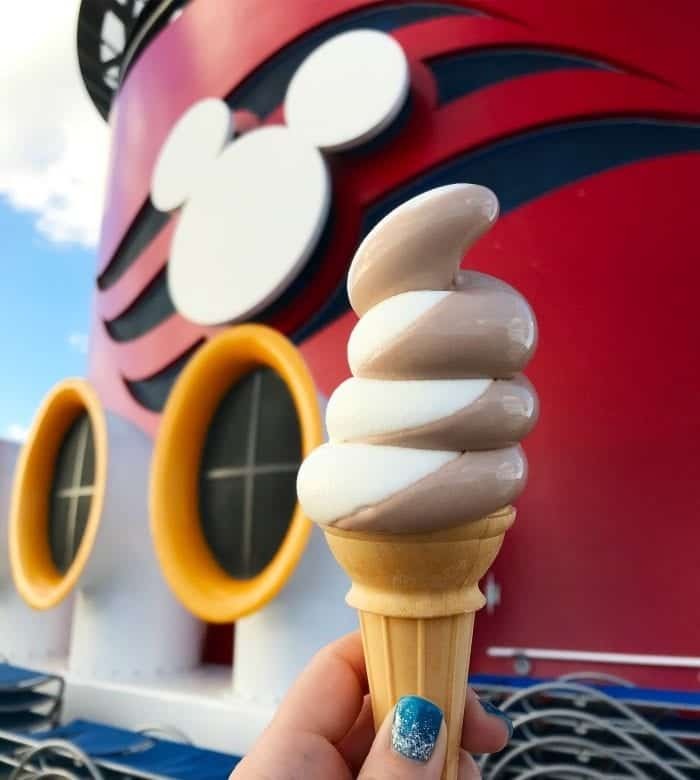 Pin to your favorite Travel Board! 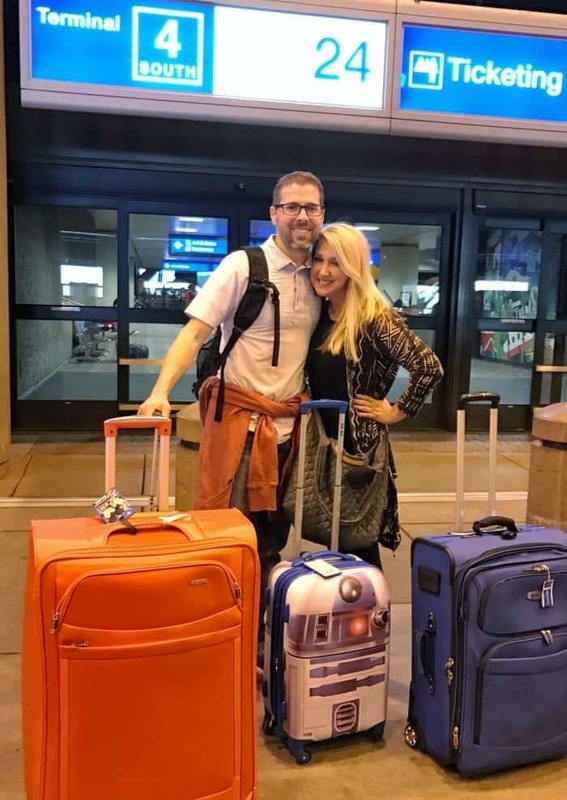 Bertolli Trip….Chasing Down the LA Food Trucks! 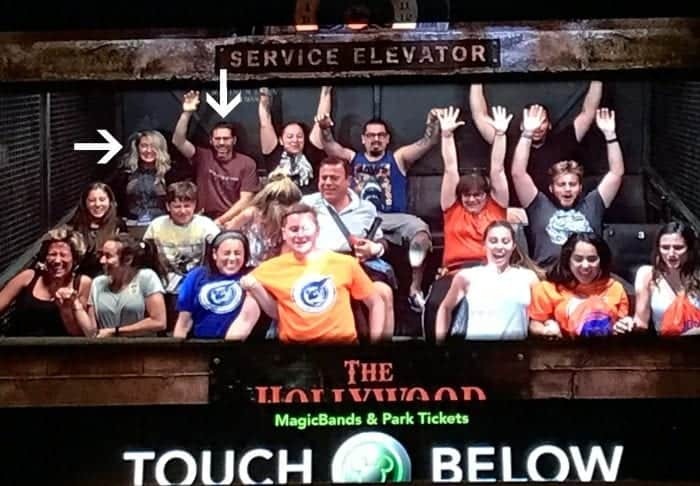 Looks like an EPIC family vacation! 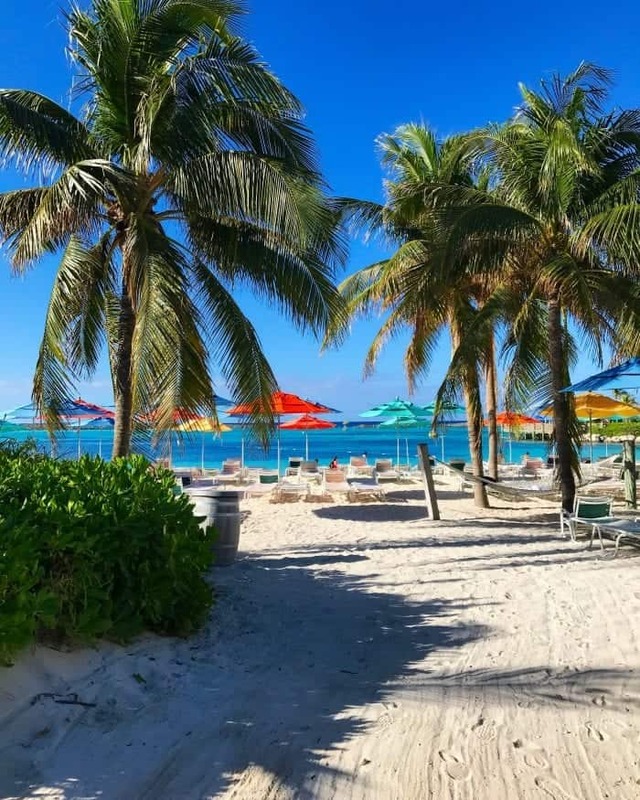 Thanks for some tips; I’m planning a first (probably only) family trip to FL this fall. 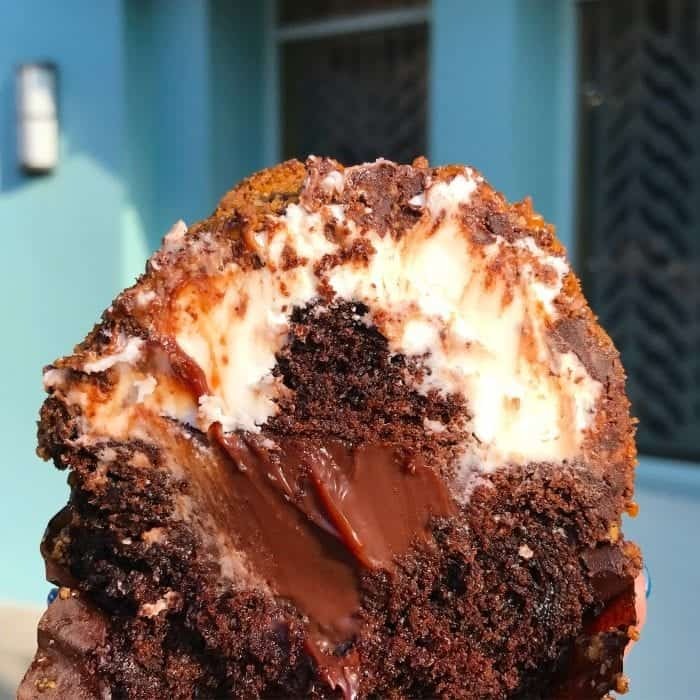 Can you tell me where the butterfinger cupcake is from in Hollywood studios? 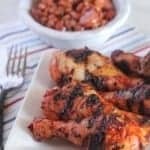 it looks like something not to miss! Thanks!